The Woods of Brushy Creek Is Managed By Goodwin Management, Inc. 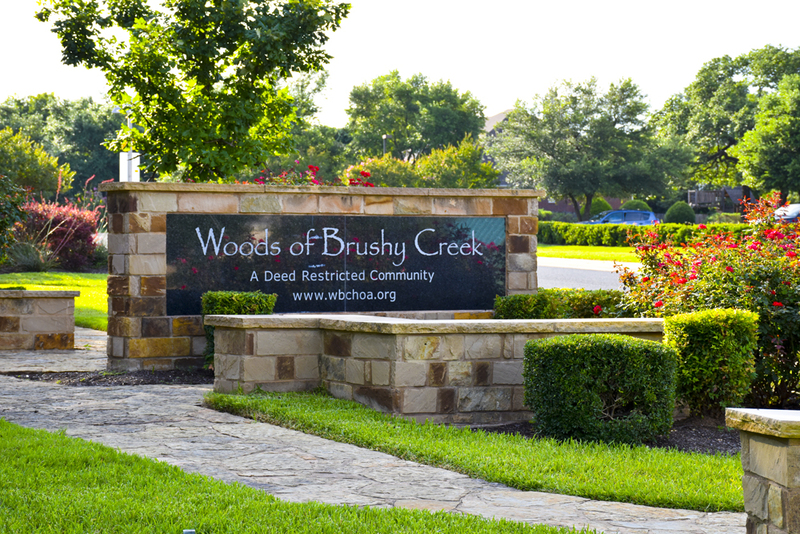 The Woods of Brushy Creek HOA partners with Goodwin Management, Inc. for the handling of all day-to-day operations, maintenance duties, and enforcement of our HOA’s CC&Rs (covenants, conditions and restrictions) – the comprehensive policies and rules used to maintain our community’s curb appeal, quality of life and property values. Remember, Goodwin Management does not set any policies or rules pertaining to our HOA, nor does it determine the penalties for non-compliance. Rather, the management company’s responsibility is to enforce all community policies and regulations made by the Board of Directors on behalf of the HOA. Please contact Goodwin Management for all questions regarding HOA dues, access to amenities, to report a violation, or obtain information regarding our fee and fine violation policy. Planning to make exterior improvements or changes to your home? Don’t forget to submit an Architectural Control Committee Request Form before the work begins!